disaster recovery print and mail, business continuity overflow, disaster recovery processing in phoenix az and tuscon az. In the event of a disaster, our SSAE18 data centers located in Arizona, Illinois, Maine, & Florida, can back you up the same day for your invoices, bill, payroll, notices...so your mission critical documents go out when you need, and when your customers need to receive it. As a Business Continuity center, we have the capacity to take on your overflow work, or a large group of critical documents that have to get out on a critical basis by mail and/or email. Again, we'll get the mission critical documents out when you need them and most importantly, when your customer needs to receive them. 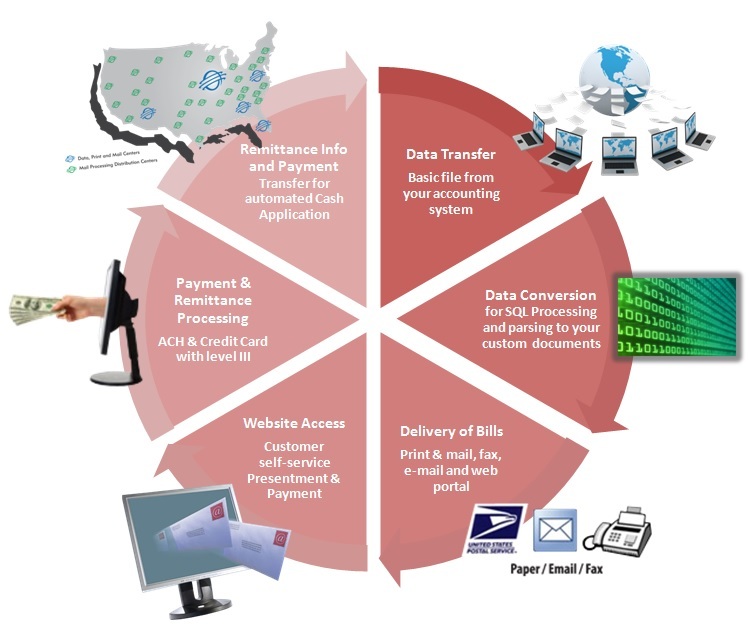 We’re an SSAE 16 compliant company with two data, print and mail center facilities located in two different areas of the United States, utilizing the best technologies offered in the marketplace today. Operating with data from your mainframe, archive or from another processing center, data is directed to the data center(s) for processing. That means your revenue flow continues and your business never suffers from a pause or stop in cash flow. Our disaster recovery plan includes document validation for your programs including receipt of data, processing, printing, inserting and validation. Our job is to ensure that your business of sending critical documents are able to continue or re-start quickly. We offer two locations Phoenix, AZ and Glendale Heights, IL. You can choose which location is to be the primary or central repository and the second location acts as the redundant disaster recovery site. By utilizing Direct Digital’s Disaster Recovery Business Continuity Plan, your internal infrastructure team will be officially informed with facts on how they can access their hosted mirror site(s). Only those with proper authorization can view the critical documents. If you’re ready to protect your cash flow, contact us today to begin the disaster recovery process.